Traditional Western attractions in Prescott include rodeos, wooden whiskey saloons, and quirky independent stores selling unique souvenirs. On the 5th (Wed), take an in-depth tour of Sharlot Hall Museum, then explore the activities along Watson Lake, and then stroll through Lynx Lake Recreation Area. To see maps, where to stay, traveler tips, and more tourist information, use the Prescott itinerary builder website . The Route module shows you all the different ways you can get to Prescott. In June, daytime highs in Prescott are 91°F, while nighttime lows are 59°F. Wrap up your sightseeing on the 6th (Thu) early enough to drive to Flagstaff. Kick off your visit on the 6th (Thu): stop by Crystal Magic, admire the masterpieces at West of the Moon Gallery, pause for some photo ops at Walnut Canyon National Monument, then look and learn at Lowell Observatory, and finally admire nature's extreme beauty at Painted Desert. To see maps, ratings, other places to visit, and tourist information, you can read our Flagstaff online tour itinerary planner . You can drive from Prescott to Flagstaff in 2 hours. Alternatively, you can do a combination of taxi and bus. Traveling from Prescott in June, expect Flagstaff to be slightly colder, temps between 82°F and 45°F. Finish your sightseeing early on the 7th (Fri) so you can take a bus to Sedona. Start off your visit on the 7th (Fri): stop by Cocopah, then take a memorable drive along Red Rock Scenic Byway (SR 179), and then take in the dramatic natural features at Cathedral Rock. 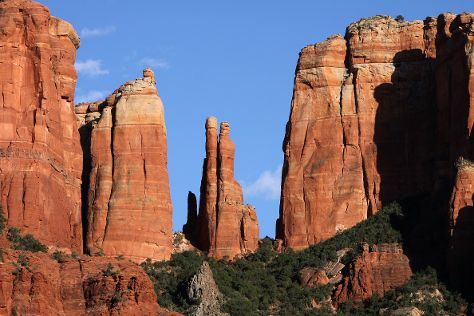 To see ratings, other places to visit, where to stay, and other tourist information, you can read our Sedona trip planning tool . You can take a bus from Flagstaff to Sedona in an hour. Alternatively, you can drive. Traveling from Flagstaff in June, expect nights in Sedona to be warmer, around 68°F, while days are somewhat warmer, around 94°F. Finish your sightseeing early on the 7th (Fri) so you can drive to Jerome. 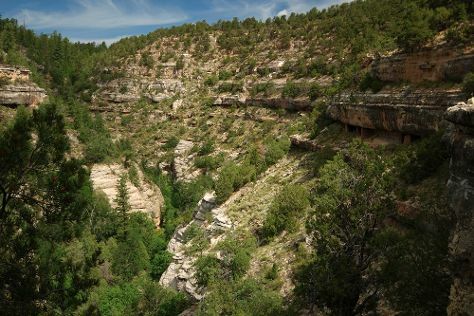 Jerome is a town in the Black Hills of Yavapai County in the U.S. For reviews, more things to do, and tourist information, refer to the Jerome trip itinerary planner . You can drive from Sedona to Jerome in an hour. Another option is to take a bus. Plan for little chillier nights when traveling from Sedona in June since evenings lows in Jerome dip to 59°F. On the 8th (Sat), you'll have the morning to explore before heading back home.